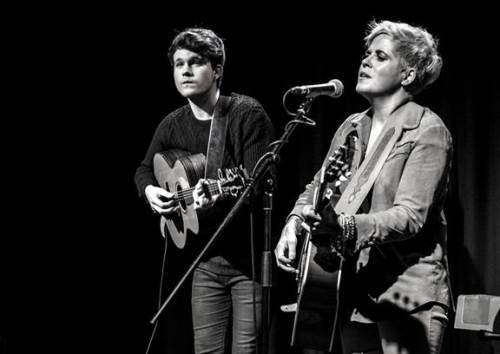 Award-winning songwriter Amy Wadge is teaming up with folk singer Luke Jackson for a UK tour that visits Birmingham's Cherry Reds on January 18, 2018. It will be the duo's fourth tour together. Luke says: "The tour with Amy is becoming our favourite way to start the year. 2017 started with my third tour with Amy. It was the best yet - we played to large, enthusiastic audiences and had a great time, and I think the 2018 tour will be even better." Beginning at The Met in Bury on January 17, the tour includes a date in Amy's home city of Cardiff on January 30 before concluding on February 4 in Luke's home city, Canterbury. Amy is known for her songwriting collaboration with Ed Sheeran, with whom she has worked since he was 17 - his first EP was entitled Songs I Wrote With Amy. 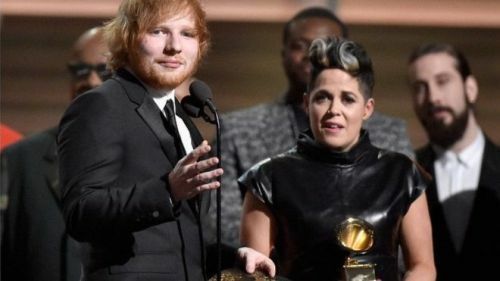 They reached number one in the official UK chart with Thinking Out Loud which subsequently went platinum and won the coveted Song of the Year at the 2016 Grammys (pictured below). Amy has twice won the Best Solo Female Artist title at the Welsh Music Awards, ahead of Charlotte Church in 2002 and Cerys Matthews in 2003. In 2016 she won two awards at the ASCAP (American Society of Composers, Authors and Publishers Awards) – Song of the Year and Top Digital Song. She has supported some of the world's top artists, including Van Morrison, Damien Rice, Eric Bibb and Jeff Beck, and has seven album releases to her name. In 2015 she unveiled her first solo release in six years – the EP Recovery – and her most recent EP, No Use Crying Over Spilt Milk, includes her own version of Thinking Out Loud (video below). Last year Amy, who has a home in Nashville, worked with Kylie Minogue, Gary Barlow, Dixie Chicks, Carrie Underwood, Kacey Musgraves and Dan Tyminski. 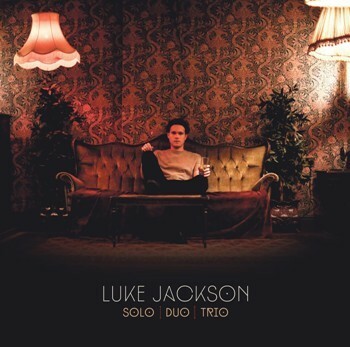 Luke Jackson (pictured below) has been likened to Richard Thompson, Jeff Buckley and Martin Simpson and has rapidly made a name for himself on the acoustic roots scene. 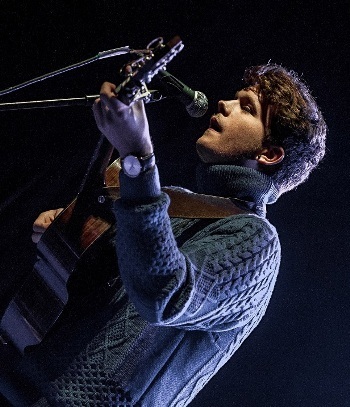 The 23-year-old's 2012 debut album, More Than Boys, triggered a double nomination at the 2013 BBC Radio 2 Folk Awards and 18 months later he followed it with his second album, Fumes and Faith. In 2015 he released his third album, This Family Tree, with album number four, Tall Tales & Rumours, released in 2016. His first live album, Solo Duo Trio, is due in February 2018. During the UK tour, Luke and Amy will perform separate sets and join forces for selected numbers. Feb 4: Gulbenkian Theatre, Canterbury.